I am seeking an opportunity to be part of a big team or a big company, where everyone can challenge me to solve big (and much bigger) problems. No. 2/96, Lan Ba Alley, Kham Thien Market Street, Trung Phung Ward, Dong Da District, Hanoi, Vietnam. Room 3, 1st Floor, No. 122/8, Pho Quang Street, Ward 9, Phu Nhuan District, Ho Chi Minh City, Vietnam. No. 207, Vo Thi Sau Street, Tan Dinh Ward, District 3, Ho Chi Minh City, Vietnam. Mobile: (+84) 975 783 771. Home: (+84) 43 5182 840. Desktop/mobile with C++, C#, Java, Swift, Kotlin. Server-side with PHP, using frameworks: Laravel (+Passport+Echo+Mix), Wordpress, vTiger, Symfony, CodeIgniter, Kohana. Server-side with Node.js, using frameworks: Express. Real-time messaging/Notification with Socket.IO, Realtime.co, Firebase, APNs. Social APIs: Facebook, Instagram, Google. Analysis & design: OOP, Design Pattern, UML. Scripting tools for automation testing: Selenium, CasperJS. Mailing APIs with Mailgun, Mailchimp. Microsoft Windows, Microsoft Windows Server. Microsoft Windows Phone/Mobile, iOS, Android. Microsoft Visual Studio/Microsoft Visual Code. JetBrains PhpStorm, Netbeans, Eclipse, Notepad++, console/terminal. Adobe Animate (formerly Adobe Flash Professional), Adobe Flash Builder, Brackets. Oracle Business Intelligence Enterprise Edition (OBIEE), Oracle Warehouse Builder (OWB). I can work independently or co-operate with team. I can lead a small team (3-5 members) in developing projects. I can make schedules, summaries, reports, documents and presentations. I can easily adapt to any software development process: Agile/Scrum, Waterfall, Spiral. System (Web & Mobile Platform) for managing company's end-users and customers' operations. Position: Technical Lead, Full-stack developer. e-Portal (both Internet & Intranet) for the Vietnam Fatherland Front. Position: Sharepoint/C#.NET developer, UI designer. 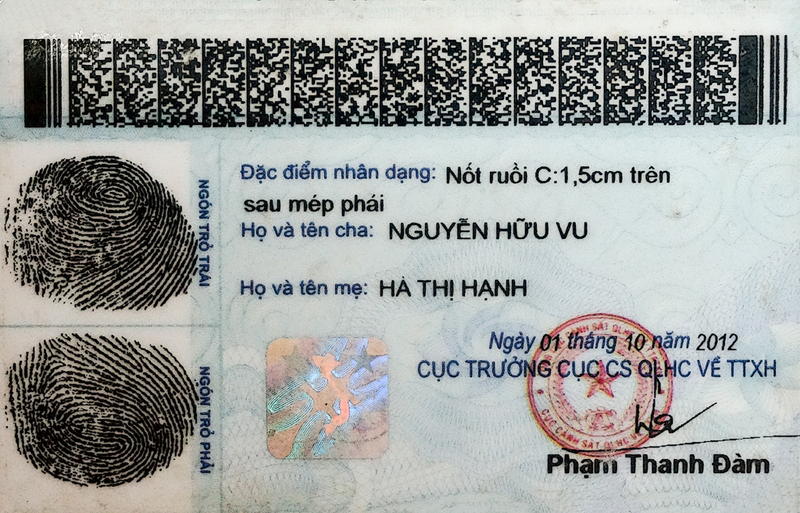 System for Statistical Information Collection (SSIC) for General Statistics Office (GSO) of Vietnam. Business services/processes for Land Transport Authority (LTA) in Singapore. Position: Onsite IT developer (work at Head office of LTA in Singapore). Business services/processes for Lenovo’s Warranty Service in Thailand. 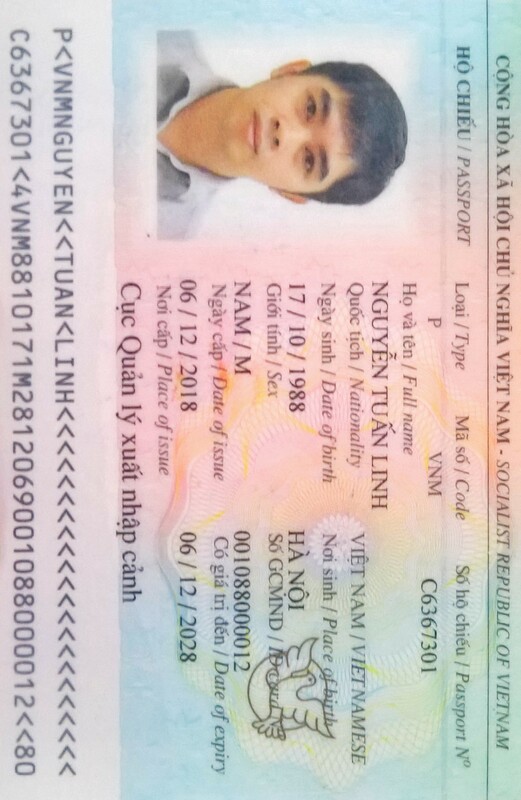 Data Management, Data Warehouse and Related Application for the State Bank of Vietnam (SG4 Package from Financial Sector Modernization and Information Management System Project - FSMIMS). Experience/Skills: Oracle Database, Oracle Data Warehouse, Oracle Business Intelligence Enterprise Edition. Customer Relation Management (CRM) web application. Experience/Skills: ActionScript3, Adobe Flash Professional. CoinHQ - The Australia's fastest way to purchase bitcoins. 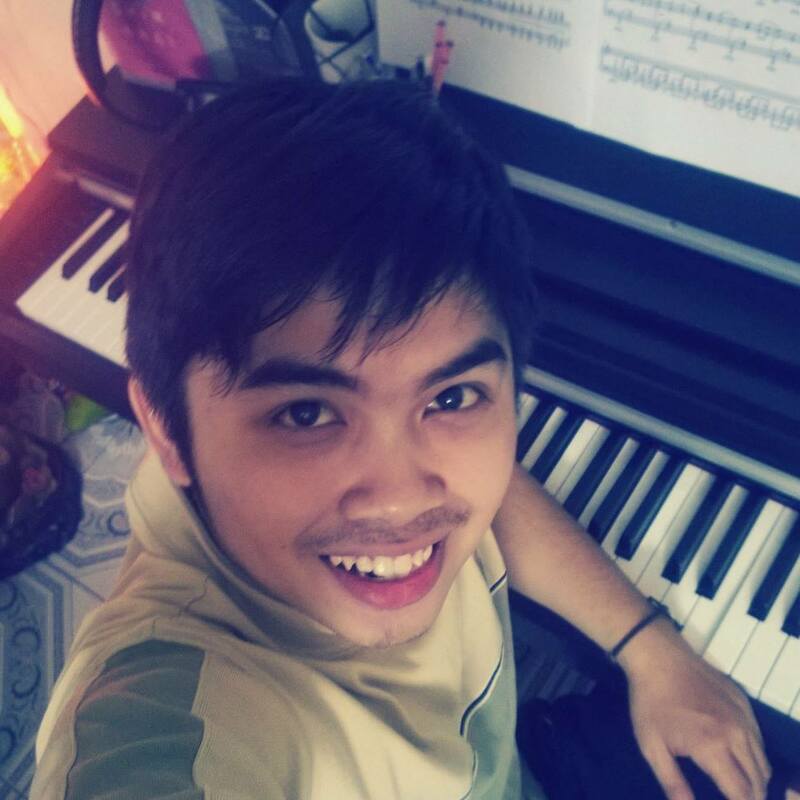 Experience/Skills: PHP/Kohana, MySQL, Bitcoin, Simplex API, Coinmama API. Learning Management System (LMS) web application. YouExplore - The world's first social travel search engine. Billing System web application for Chuo Electric Power Co. (Japanese). Position: Team leader, PHP developer. Position: C#.NET developer, UI designer. Aukro Mail System – A web application for managing business on Aukro.cz. Official website for promoting/selling tickets for the Tour “This is us” of Backstreet Boys in Vietnam. Position: Flash developer (Select Seats & Buy Tickets Online module). Course by Department of Computer Science (DCS) - School of Information and Communication Technology (SOICT). Books, music, history, law, human, jogging, cycling, running, blog, basketball. Through two provinces in Vietnam: Khanh Hoa and Phu Yen. Lived as a local civilian wandering anywhere and still work remotely for the job at company. Through three coutries in Indochina: Vietnam, Laos, Cambodia. The route started from Hanoi City, ended at Mũi Cà Mau and Ho Chi Minh City. 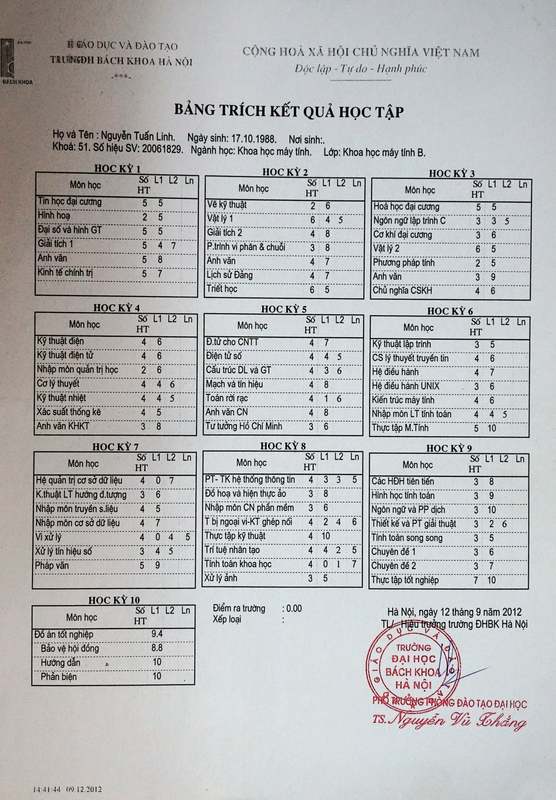 Cities that were visited on the route: Hà Nội City - Ninh Bình City - Thanh Hóa City - Vinh City - Hà Tĩnh City - Đồng Hới City - Đông Hà City - Huế City - Đà Nẵng City - Hội An City. 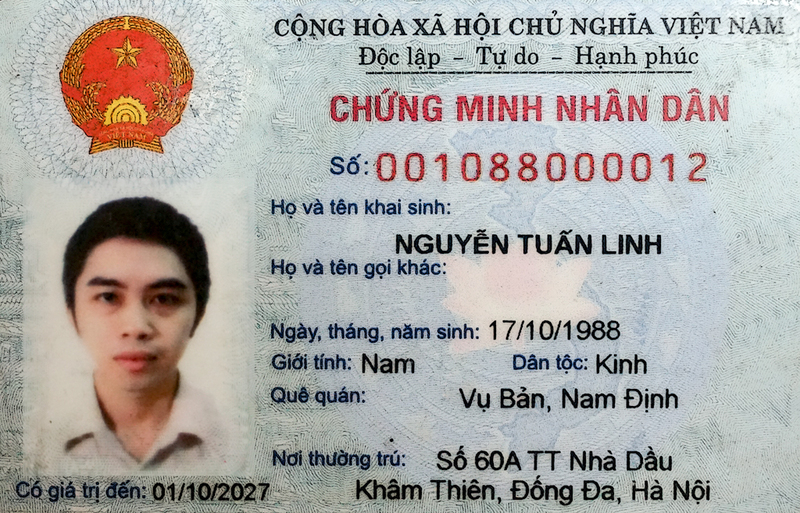 Held by VNG Corp. - Branch office in Hanoi. Held by Students’ Association of Hanoi University of Science and Technology. Deployed at Giap Bat Coach Station.